Drivers from across the Lake Havasu region have relied on Anderson motors for all their automotive needs for generations. So what’s bringing our awesome customer service into the next decade? It all starts with the array of online shopping tools you can utilize right here on our website. Each of them is designed to five you incredible access to our entire inventory, and help you make a purchase that’s smart for your automotive present and your financial future. From our Kelly Blue Book Trade-In evaluator, online payment estimator, and information regarding our comprehensive menu of special financing programs, the Anderson team makes it their goal to make your automotive purchase process as informative and quick as possible. You can even check out model reviews and dealer-backed incentive programs to help you decide which car, truck or SUV is right for you and your family. 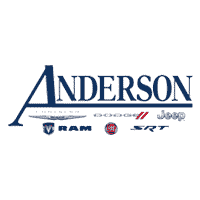 Stop by Anderson this week to check out awesome summer savings on our entire lineup of new and pre-owned Chrysler, Dodge, Jeep and RAM vehicles. 0 comment(s) so far on Shop Smart. Shop With Anderson.